Please call Development Coordinator Elenka Refsell at (415) 647-6015 x78. You can make a gift to CMC through your Donor Advised Fund (DAF). If you already have a DAF through an organization that participates in DAF Direct, you can donate directly to CMC here through DAF Direct. Double the impact of your donation by requesting a matching gift from your employer. For more information, visit our Matching Gifts page. Are you a CMC volunteer? Many companies will donate funds in proportion to the number of hours their employees volunteer at a non-profit. For more information, visit our Matching Gifts page. Take a look at our wishlist on our In-Kind Gifts page to get started. Bring usable items to Community Thrift Store at 623 Valencia St. and specify CMC as the recipient of funds realized from your donation. 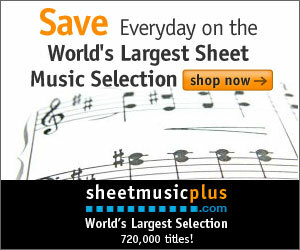 Buying sheet music? Shopping on Amazon? Start your shopping at http://www.sheetmusicplus.com/m/sfcmc or http://smile.amazon.com to support CMC with every purchase you make! Include CMC in your estate plans and ensure that we continue our mission for generations to come. Visit our Legacy Giving page for more information.